With the increase in demand for content, business owners, designers and content creators have to come up with new ways to spice things up. One of those ways is to use digital animations to create both compelling content, and also a way of engaging the users through a new type of media, rather than just text. And it works, animation can be used for both education purposes, as well as storytelling. Cartoons take away the need for expensive video equipment that might be putting a dent in our budget, instead we can rely on affordable platforms and tools that allow us to create sophisticated animations for both personal and business purposes. The list of tools you will find in this roundup are rated to be one of the best on the web, so not only is there going to be great support available for them, the communities will have built plenty of tutorials and starting guides to get you on the high horse quickly. Animation enthusiasts will enjoy our past posts, such as HTML5 animation tools and how to use HTML5 to create animations, an amazing (and animated) infographic on the way animations shape the world around us, and most recently one of our writers published a list of tools that we can use for marketing video content, which comes in very handy with a topic such as this. The Nawmal platform is based on artificial intelligence, which allows you to customize a set of characters to do a rundown of whatever it is that you’re promoting. With Nawmal you can be the director of your own animated movie. You have the freedom to command the characters to say what you want them to say, to walk in specific directions, where they are standing, and there’s a choice of over one hundred different expressions and gestures that can help translate your idea on the screen. It’s really quite something, and definitely worthy to be number one on our list, although don’t assume that we have listed all these tools according to their quality; we haven’t. Wideo is everything you’d expect from an animation tool that advertises itself as the leader in the market of SEM, SME, Education and Online Marketing. The Wideo platform is a simple drag and drop tool that lets you take advantage of thousands of variations and ways to create a promotional and/or educational video, and because of the style that Wideo uses, all videos seem friendly and reflect modern design choices. Over a million users can’t be wrong. GoAnimate is an affordable solution for any individual or business that wants to advertise themselves through video, the easy to use platform provides the latest research based animation features and patterns that let you build animations that are not only appealing, but also capable of driving an intense amount of sales. You can move objects, you can record voices, you can make each video to appear just the way you want it. Voki is being used in the education field to help students learn more and adapt to different learning environments, but it can also be used to advertise and promote something of your own. With Voki, you can create a customizable persona that will do all the talking for you. Given that you have to record everything yourself though. CrazyTalk Animator 2 is one of the leading animation platforms that bring forth an exciting and creative approach to 2D and 3D animation. It’s been said that this is the single most creative animation platform for 2D animations out there, and we don’t double that for a second, after having taken a look at the demo examples on the sales pages, we’re convinced that these guys know what they’re doing. MakeWebVideo is not a tool by itself, but it is a great marketing platform and we feel it was worthy of having it included in this roundup. MakeWebVideo promotes a list of professionals who will create visually stunning promotional videos that utilize all the best that animations has to offer. You might find similar services on sites like Fiverr, but nothing comes as close to the direct work that these guys do. Blender is an open-source community driven project for 3D rendering. 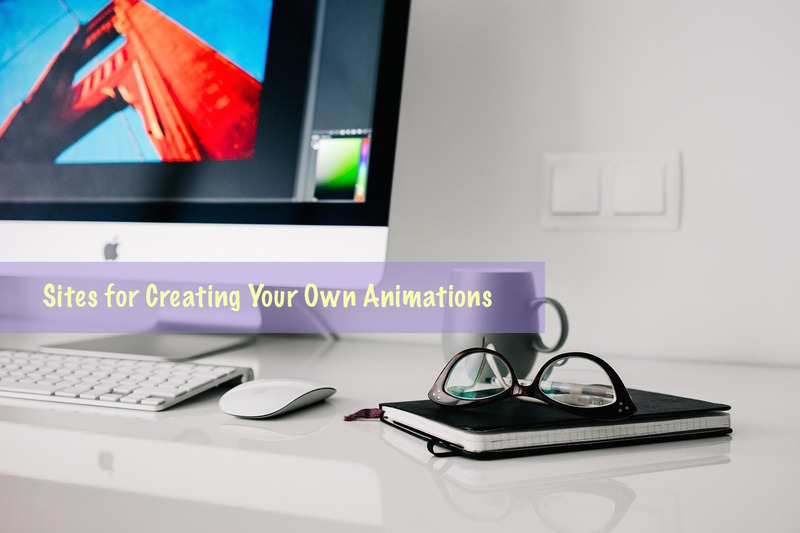 You can create content that’s completely out of this world, and combined with the right tools you could be looking at animations that even the nearest competition couldn’t compete with. Blender comes in integrated with tons of features, some of the favorites amongst the animation experts are definitely the in-built simulations. Need a professional business presentation? Look no further than PowToon, these guys have built a platform that does it all. It allows you to create just the promotional video your business needs, without compromising your time or quality of the outcome. The PowToon user interface has been extensively designed and tested to ensure it’s as simple as possible while never sacrificing an ounce of quality or professionalism. You have every animation tool required right at your fingertips, and we’re always adding more features, templates and styles!